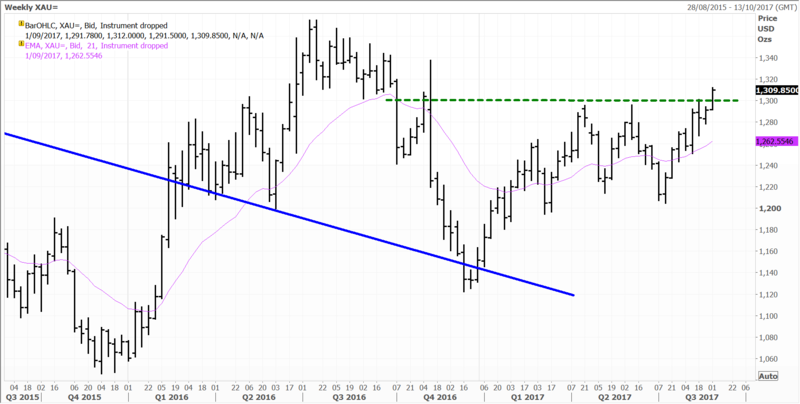 Precious metals rallied strongly yesterday with gold breaking convincingly through the $1300 level to settle at $1321. This is the very dynamic we have been waiting for. The PGM stocks should rally strongly today in Australia with follow through price action in London to catch up after their bank holiday. With gold and silver having broken out to the upside yesterday, the 2016 highs are set to be challenged shortly. Fund managers and financial institutions are light in terms of PGM weighting, so I expect plenty of alpha to be delivered over the next quarter as portfolio managers rush to catch up. Gold has broken through $1300 decisively and I think it is only a matter of time before new multi-year highs are made above $1400. Silver is in much the same the basket. 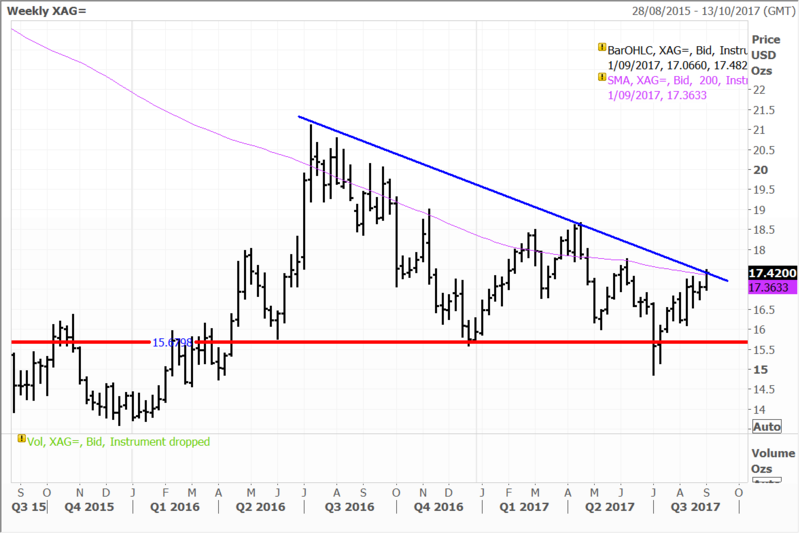 After testing historical support and holding at $15.50, the “cheaper cousin” has rallied decisively to now test important downtrend resistance at $17.40. I believe it only a matter of time before this resistance is broken. 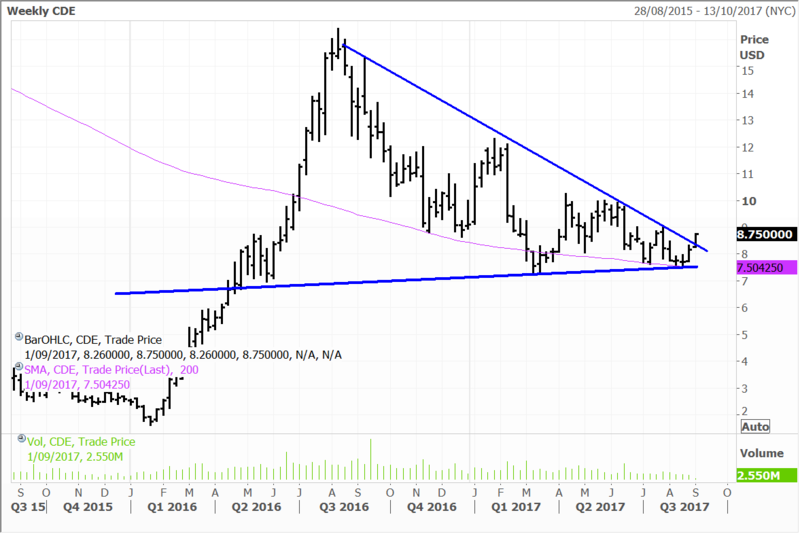 The price action in silver stocks that we own in the Fat Prophets Global Contrarian Fund and the Global Managed Accounts could potentially be explosive. One stock we hold is Coeur Mining (NYSE:CDE) and I think after breaking out on Monday following a one year consolidation, we could see the highs at $15 challenged once again. Hold on, for we are in for a wild ride with global confidence dissipating to a low ebb in the US dollar. The market has been questioning QBE Insurance for some time. It is no secret that QBE is one of our bigger positions which is completely contrarian to the rest of the market. Facing reality, we have bought QBE cheaply, but the stock has been a “destroyer of wealth for shareholders for the past decade”. So are things going change? 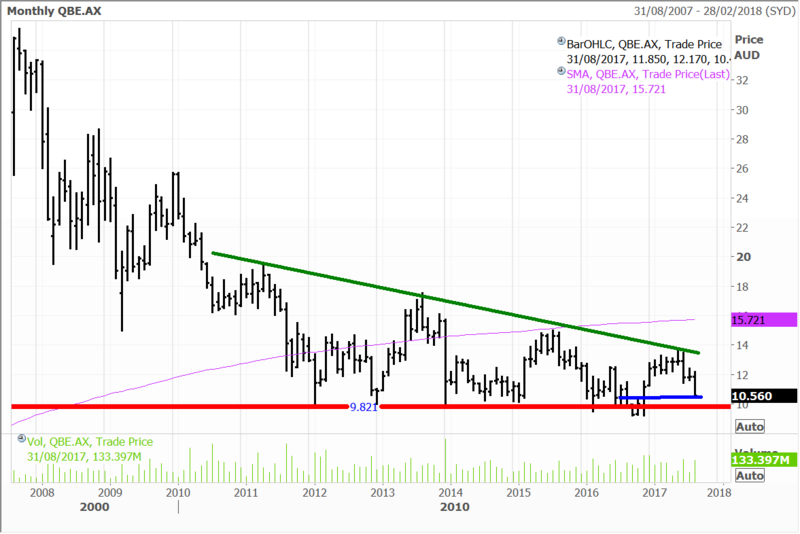 Firslty I think things will change and are changing for QBE. If I am wrong, the stock risks breaking support at $10 and if that happens the trap doors open. I don’t think this will happen for a few reasons. Firstly, the market has already crushed the valuation to a 20 to 30% discount to peers. Secondly, after disappointing the Australian market once too many times the “straw has literally crushed the camel’s back”. No one sees interest rates rising – I see the total opposite happening next year and so the bottom is probably in for QBE, and after many before me, I am “ringing the bell”. The Financial Times this week reported on the rapid proliferation of voice-activated digital assistants globally and singled out the fast-growing market in China, where multiple hardware manufacturers are scrambling to establish a footprint early in the game. The article cited telecoms consultancy Ovum as estimating some 43 million Chinese-made digital assistants were in place as of 2016. While Amazon pioneered the market with the release of its ‘Echo’ product using the Alexa AI (artificial intelligence) and Apple and Alphabet via its ownership of Google are snapping at its heels in the United States, the Chinese market is a very different beast. The Financial Times report points out that the Chinese market is and likely will continue to be dominated by companies. Foreign competition in the space is scarce, largely due to the complexities of the Chinese language with its multiple dialects and other cultural idiosyncrasies. Chinese technology titan Alibaba is one of the latest to bring a product to market, following on the heels of the likes of Xiaomi, Lenovo, Tencent and search giant Baidu. 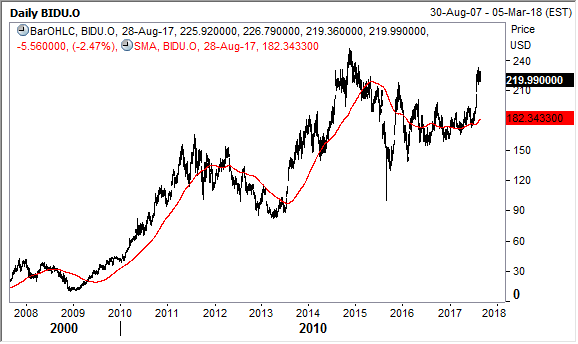 Baidu is a holding in the Fat Prophets Contrarian Fund, while both Baidu and Tencent are held in the Global Opportunities and Asian Managed Account Portfolios. 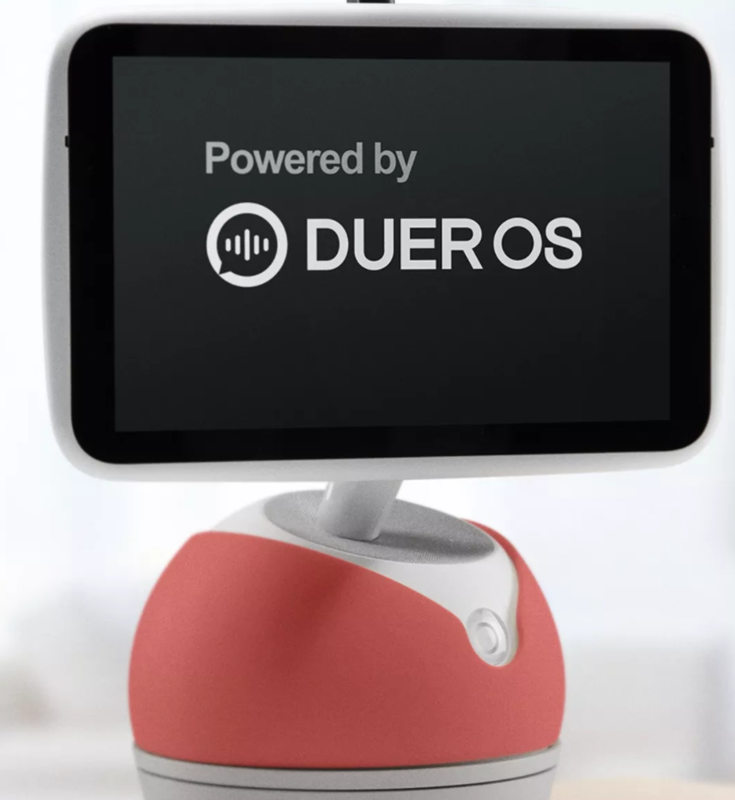 Baidu unveiled its Xiaoyu, or ‘Little Fish’ Echo equivalent product earlier this year, powered by the company’s voice recognition software, DuerOS. Baidu’s hardware partner for the Little Fish was another local company Ainemo and the product is marketed towards families with a price tag of around US$250. These digital assistant devices are a play by technology companies to enmesh consumers more deeply into their ecosystems for entertainment and shopping among other purposes. It would seem then that the companies with the broadest offerings (either standalone or through relationships with third parties) and the deepest data to provide intelligent and appropriate choices for users stand to emerge as winners. The actual hardware itself is straightforward enough to produce these days. We view Baidu as one of the likely winners in the Chinese smart home market due to its already strong and fast-growing expertise in artificial intelligence. The data Baidu captures from its online search business therefore is a major advantage for Baidu, just as it is for Google. This is as data from searches are usually so broad-based, hitting on a vast number of topics. Baidu has been adding image and voice search functions to capture even more useful data about user habits and preferences. The company has made significant strides, claiming 97% accuracy in voice recognition and 99.7% in facial recognition. Baidu has spent big to build out its capabilities in the area as well and reportedly has an AI team numbering around 1,700-members with four research labs, in China and Silicon Valley. Of the US$3 billion or so, Baidu has spent on research and development over the past 2.5 years, the “majority” has been directed towards AI. Disclosure: The Fat Prophets Contrarian Fund declares a holding in QBE Insurance, Baidu and Coeur Mining.